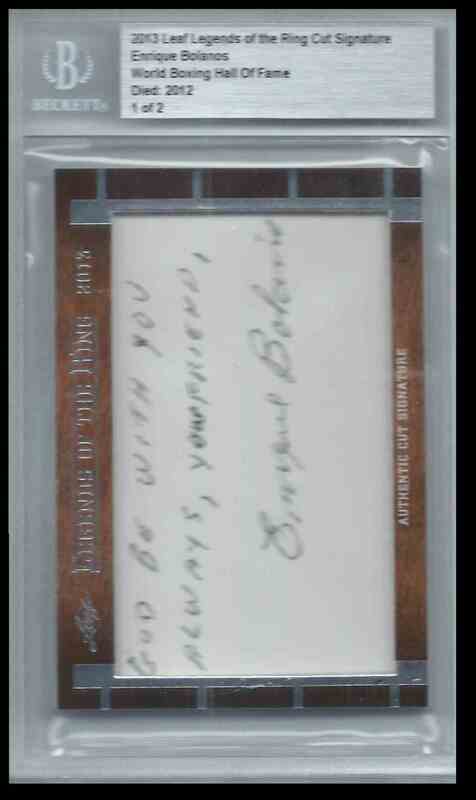 This is a autographed Boxing trading card of Enrique Bolanos. 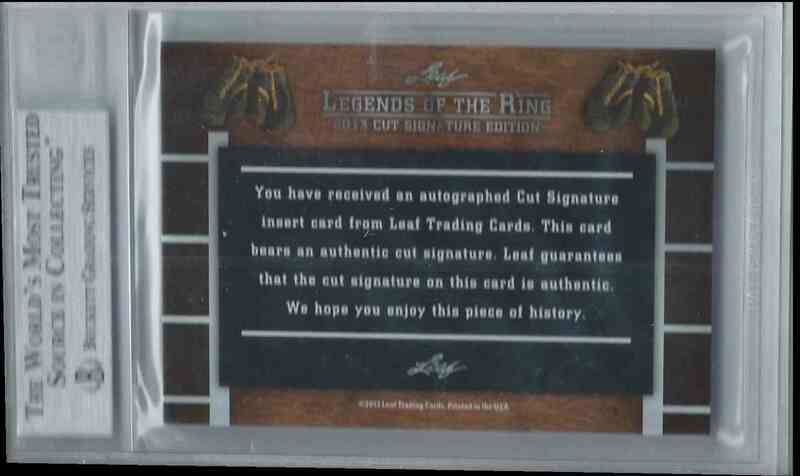 It comes from the 2013 Leaf Legends Of The Ring Cut Signature Edition Boxing Hall Of Fame set, card number CUTEB, embedded Deceased Cut Auto, serial numbered /2. It is for sale at a price of $ 599.95.